As the name suggests, we are the section of the Iranian American Bar Association serving the New York metropolitan area. At the New York Chapter of the Iranian American Bar Association (IABA-NY), we focus our efforts on serving the professional interests of the Iranian American legal professionals: attorneys or law students, professors or judges. The Chapter is governed by a Board of Directors that is open to any member who is willing to devote the time to help achieve our mission. In the past year alone, we have sought to achieve our mission by: (1) establishing the IABA Network, an electronic network where client referrals and legal questions can easily flow; (2) sponsoring networking events where attorneys can meet fellow attorneys (and often, members of other professions); (3) holding free legal education seminars (CLEs); (4) mentoring attorneys and law students alike as they seek to navigate their professional careers; and (5) assisting members seeking jobs in their searches. And, no we are not always about the law. While our networking events are typically held in trendy bars and lounges, we have specifically taken time out for purely non-legal activities as well. Among them have been a Nowruz Dinner, as well as participation in the Persian Parade and a Summer Picnic in Central Park. The New York Chapter of the Iranian American Bar Association is pleased to offer a variety of programs and events to our members. Some of these programs are ongoing while others are past events. Please visit our News Page for upcoming IABA-NY events and to read our chapter newsletter. With more than 250 Iranian-American lawyers in our chapter, IABA-NY is a significant resource for potential new clients, answers to legal questions, and other matters of interest to the legal community. With the IABA Network, we have made it possible for you to reach out to the entire IABA-NY membership with the click of a single button. You simply send your posting to iabany@yahoogroups.com and your comment will be automatically distributed to the entire IABA Network. We encourage you to post any referrals or legal questions that you may have. Please feel free to let us know if there is some other matter that you wish to share with the IABA Network. Not yet on the IABA Network? Simply email us at bod@iaba-ny.org and we’ll be happy to include you. At IABA-NY, we are dedicated to enhancing the skills and careers of our members. Our Mentoring Program is intended to match interested law students and new attorneys with experienced attorneys in order to foster the professional development of our colleagues. We are also strongly committed to providing our members with resources, tips and guidance to find new job opportunities. For more information, please visit the Jobs and Mentoring sections of our website. IABA-NY has repeatedly brought together attorneys to meet and network in various informal settings. Our Networking Nights have been great opportunities to catch up with old friends, make new connections, and strengthen the professional relationships within our community. Our recent networking nights have taken place at trendy and enjoyable NYC venues including: RoomFifty5 at the Dream Hotel, Sip City in Great Neck, Casa La Femme in the West Village and more. These events have attracted large and vibrant crowds of attorneys and non-attorneys alike. Our thanks to our Social Director, Rebecca Ahdoot, who leads our efforts in organizing Networking Nights. To suggest a venue for a future event or to help organize our Networking Nights, please contact us at bod@iaba-ny.org. 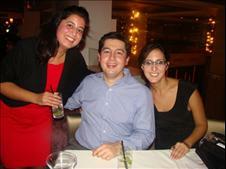 IABA NY Networking Nights are an excellent way to build your career and build our community. Look for details on our next networking night in our News section. 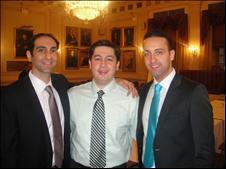 IABA NY coordinates two CLE programs a year; one in the fall and one in the spring. These CLE's are complimentary for our members. IABA NY seeks out accomplished speakers and works with top law firms to create each CLE. Be sure to look for information on our next CLE event. If you have a topic for a CLE or wish to help organize a future CLE, please contact us at bod@iaba-ny.org.